We had a bucket list of things to do in Miami – lunch in Little Havana, cruise around South Beach, swim at the beach – in a short time span of 24 hours. We’d just checked into the Mayfair Hotel & Spa, our boutique hotel in Coconut Grove where we were staying as guests of Carnival Cruise Lines before our Caribbean cruise, and pulled up the map. It was already 10:30am and we had been up since 4:30am to catch our flight from Raleigh to Miami. The girls were already acting a little crazy and poking at my nerves. South Beach and Little Havana were both a 20 minute Uber ride away. Visions of the day unfolding in drama caused me discomfort. I did a quick search on things to do in Coconut Grove, Miami. I liked what I saw and read. 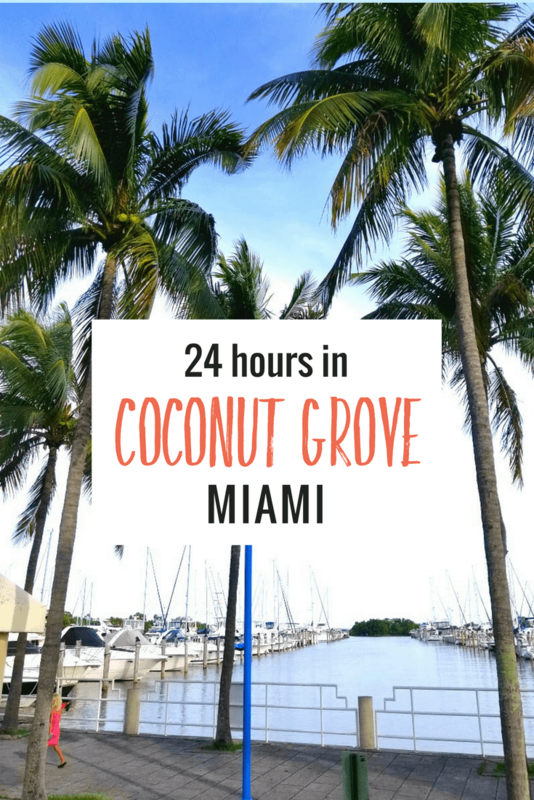 Most notably that Coconut Grove is Miami’s oldest neighborhood! Spend the day spent racing all around Miami in the heat with two tired girls just to get our I was here shot, or a spend it lingering over the local flavours of one of Miami’s best neighborhoods? 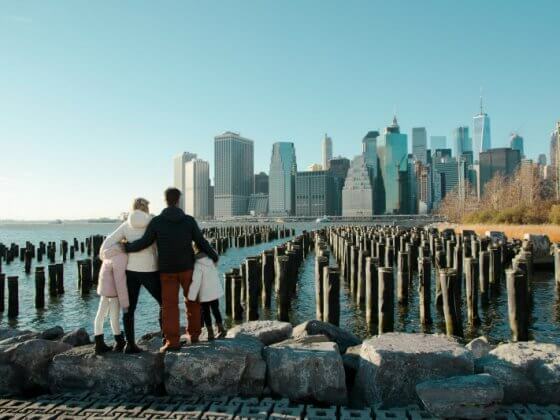 One thing I’ve learned through traveling with kids, and from running my own travel blogging business, is the importance of knowing your limitations. It’s easy to pretend you are a super hero and can see and do everything, but the reality is when you try it ends in a child on the floor wailing like a banshee. Or perhaps that’s you doing that. When you foresee the potential disaster your limitation can bring, you can easily get help, or change direction. 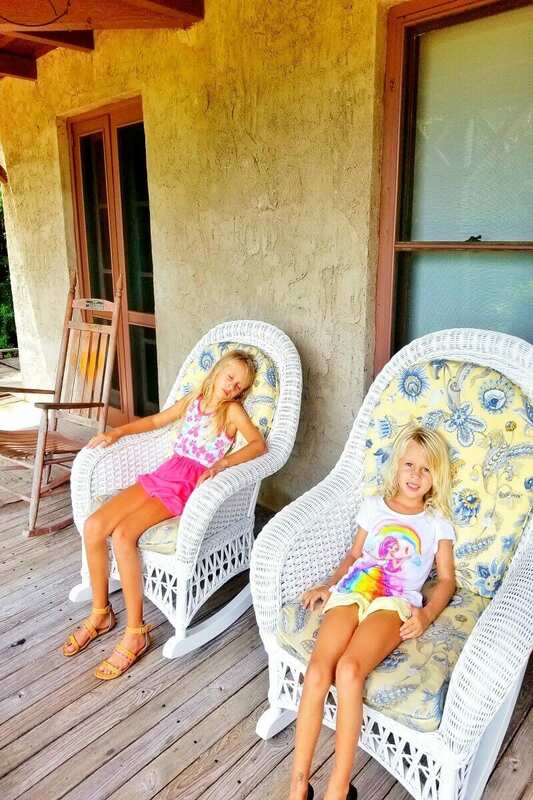 We loved our day exploring Coconut Grove in Miami. 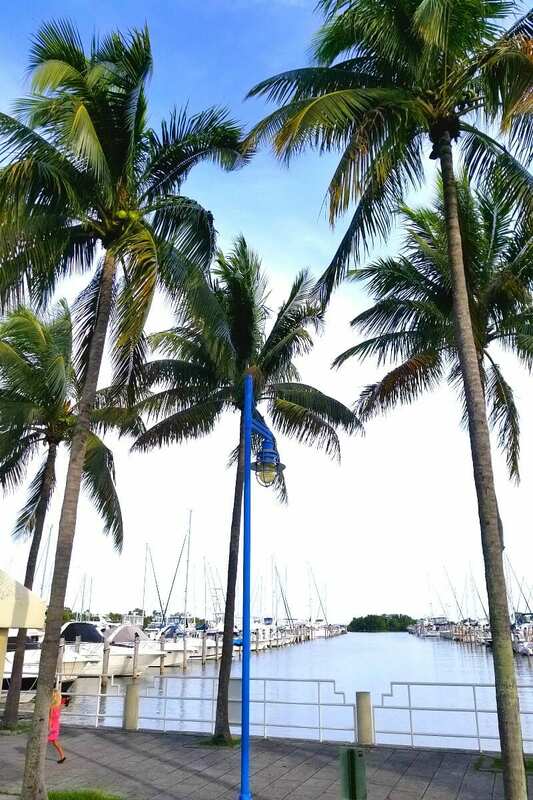 We stayed in Coconut Grove as guests of Carnival Cruise Lines the evening before departing for our Western Caribbean Cruise with Carnival Vista. If you’re looking to stay in Miami a night either side of your Caribbean cruise, consider staying in Coconut Grove. Believe it or not, cruises with young kids can be taxing. 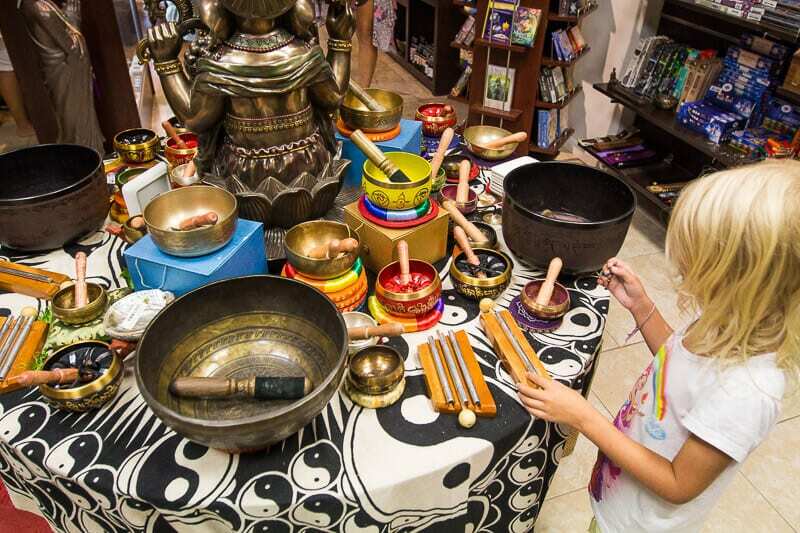 This is the perfect way to maintain or restore your energy, while still experiencing Miami Vibe. Coconut Grove is a bohemian village where peacocks roam down tree-lines streets and past cottages, historic churches and gracious homes. 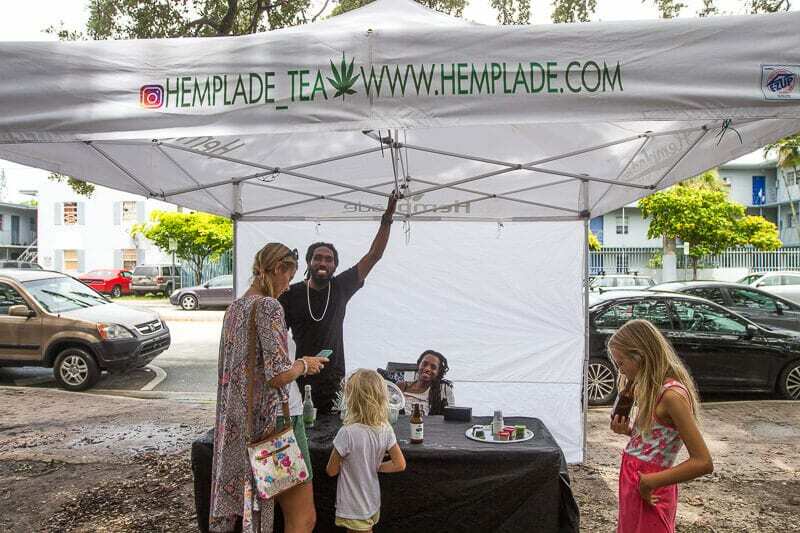 Sidewalk eateries, candlelit dining rooms and festivals at Peacock Park give it a homely, lively ambiance that attracts free spirits and creatives. 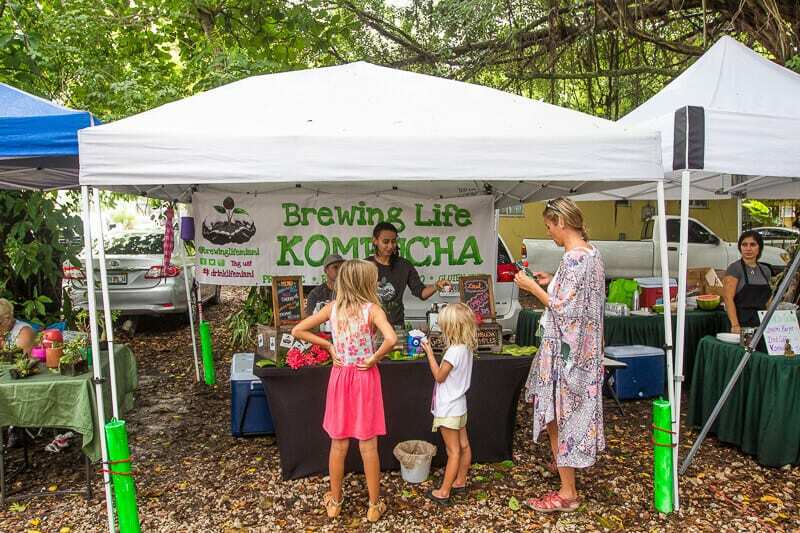 Its residents are responsible for banding together to create this vibe, and the Coconut Groves Arts Festival is the perfect example. Created in 1963 by the community, it is now recognized as one of the leading arts events in the USA. In the 1960’s Coconut Grove was known as the southern cousin to San Francisco’s Haigh-Ashbury and New York’s Greenwich Village. Somehow I’d randomly landed in the middle of my tribe. As soon as we set foot on the street, I realised we’d been missing so much variety living in Raleigh. Miami is such a vibrant, eclectic melting pot. In just a few hours we had interactions with Hispanics, Cubans, Indians, Ethiopians, Afro Caribbean and a mixture of who knows what Caucasian races. It’s the place where racists and bigots need to come play to lose their ignorance and see how much more colorful and joyful a life of variety can be. I love the celebration of life in this US city. Tables wrapped around the corner on the sidewalk and a line snaked out from the hostess stand – we’d come to the local’s favourite breakfast spot. 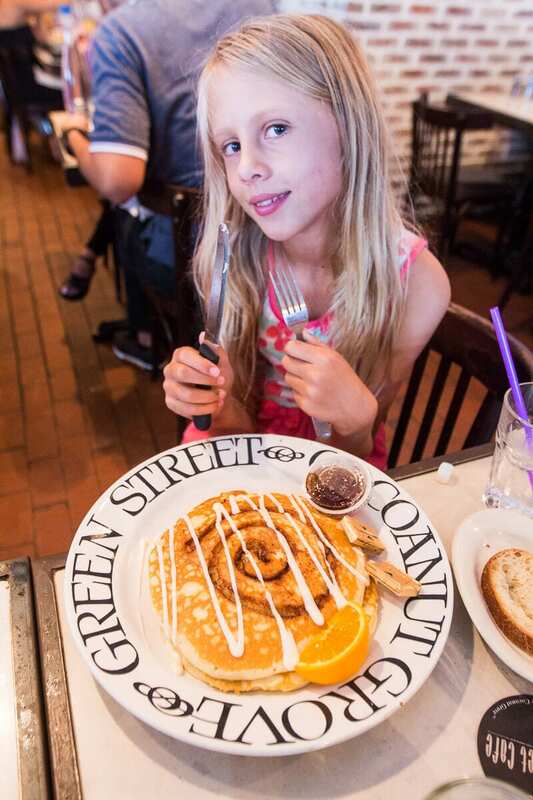 Greenstreet Café is the place to start your day exploring Coconut Grove, Miami. 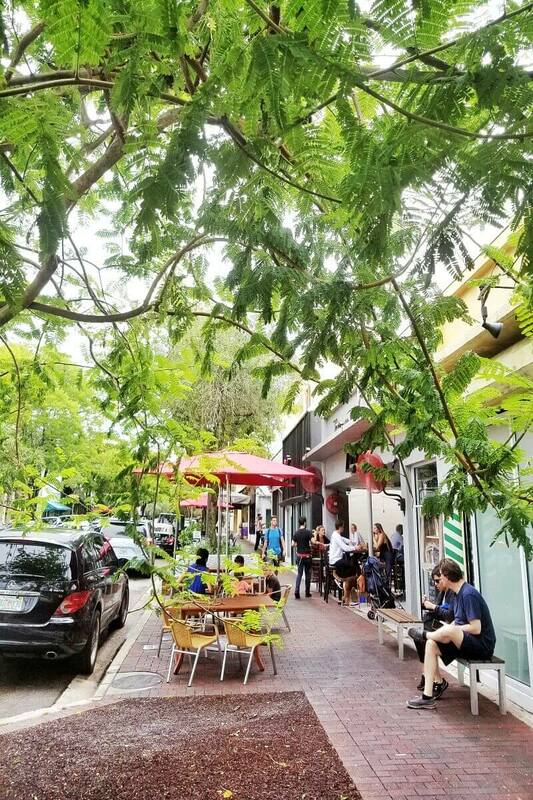 The outdoor seating is perfect for people watching and getting a deeper feel for this pretty jungled Miami neighborhood. Fill up on a healthy eggs and asparagus breakfast or a massive dose of pancakes. Kalyra tells us the cinnamon roll pancakes were the bomb. Seriously, no one serves up a pancake size like the USA. Don’t leave the oranges on the plate as garnish, squeeze them over your pancakes for a citrus delight. “Where There is Love, there is Life”! 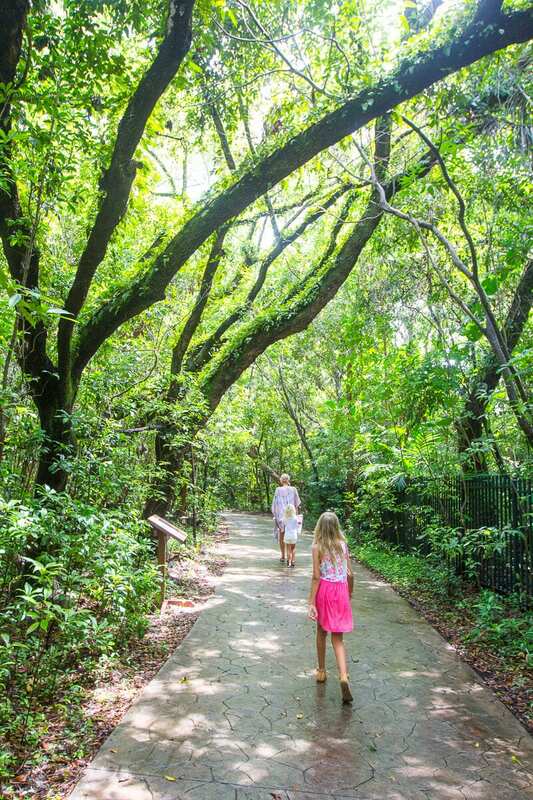 Cross the road and take a short walk through the shaded tropical hardwood hammock. You’ll welcome the slight relief from the heat. This was the original Miami landscape in the 1920’s. Enjoy your walk in Barnacle Historic State Park as it’s one of the remnants of this vast Miami hammock. The walk takes you down to the shores of Biscayne Bay and the home of Ralph Middleton Munroe, one of Coconut Grove’s most charming and influential pioneers. It’s one of the oldest homes in Miami. 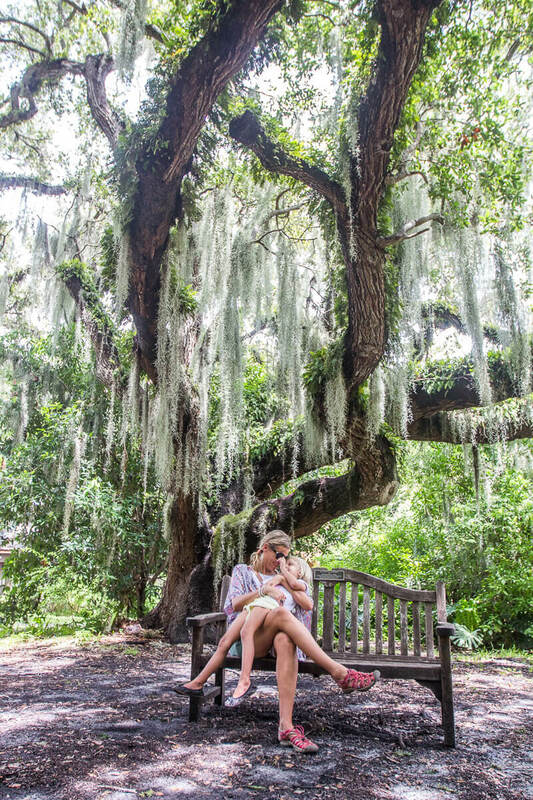 Take your pick of a rocking chair on the porch or a bench under a tree for solitude and view gazing. Stroll the streets checking out the cool boutique stores, or wander the popular Coco Walk, which is a shopping and dining precinct. You might see some some quirky buildings and historic homes to snap a few photos of. 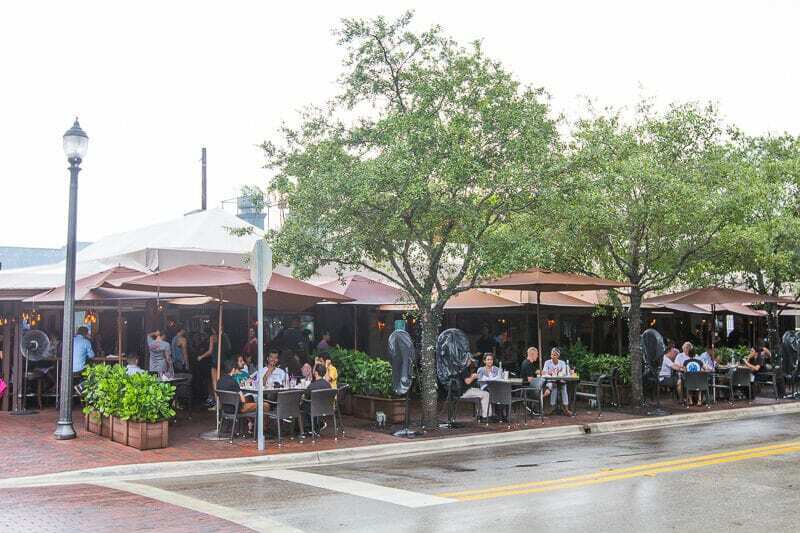 The twisting streets of Coconut Grove give you a taste of surf hipster, bohemian edge and high-style fashion. We didn’t have much time for shopping (or much inclination. I prefer to use Stitch Fix for my clothes styling and shopping now), I could not help but indulge in my secret guilty pleasure of the crystal shop. It’s been a while since the girl’s and I bought some crystals. 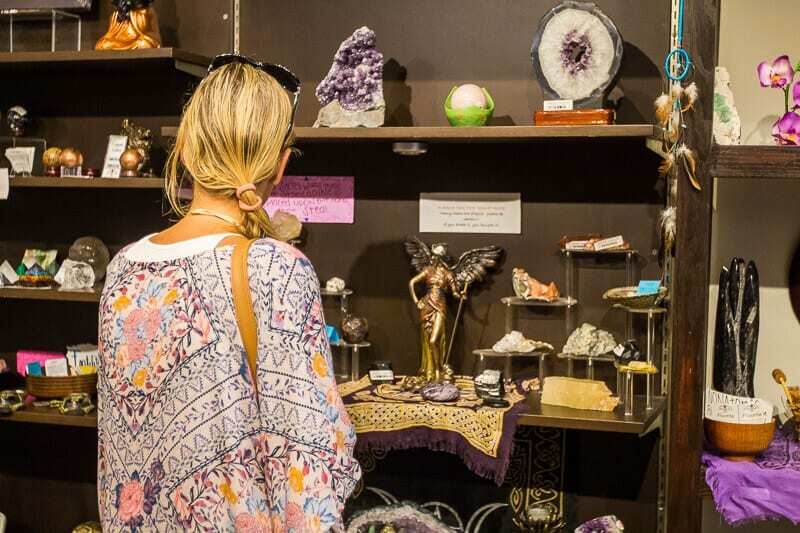 On Main Highway just down from Greenstreet Cafe is Celestial Treasures. 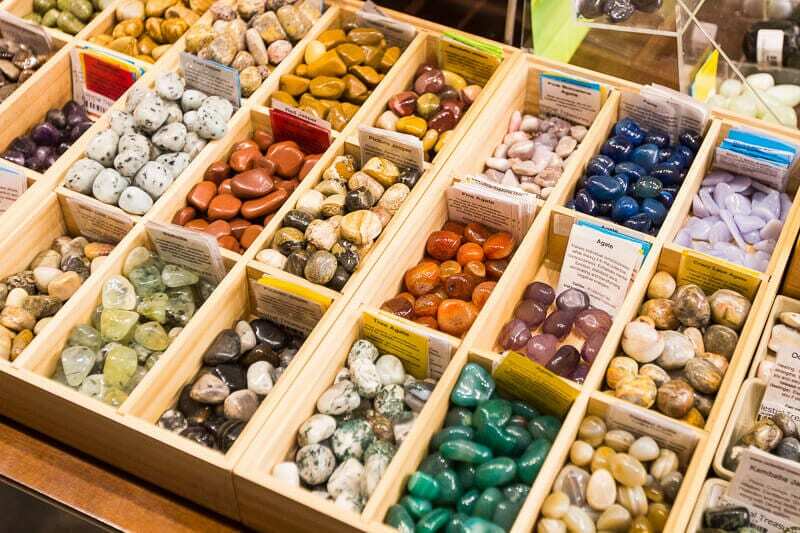 While I could have stayed there all day soaking up the smell of incense, the Hari Krishna tunes and purchasing a lot of powerful crystals books, the girls and I settled on choosing one small stone each. The Farmers Market was our favorite experience of the day. Don’t be put off by the size. It looks small, so much that you think it couldn’t possibly offer much and you almost walk out, despite its pretty tropical setting with the large oak trees fanning over you. We were pulled in by the friendly vendor from In your Face Delights holding two small round ice pops to snare the attention of the girls. Of course we couldn’t help but go over to chat with him. Then we realized this was a market right up our alley. If you don’t like healthy living, then this might not be your thing, but if you do, you’re in market heaven. The In Your Face sweets are (mostly all) gluten free, dairy free, refined sugar free made from real ingredients like fruit and vegetables, coconut cream, avocadoes and bananas. His passion for his delicious and nutritious snacks lead us down a journey of sampling chocolate bark, traditional American pumpkin pie, and my favourite chocolate banana nirvana pie. And he would not let us leave until we tried key lime pie. The best version of Key Lime pie yet! We bought some ice pops for the girls and some of that banana nirvana pie! 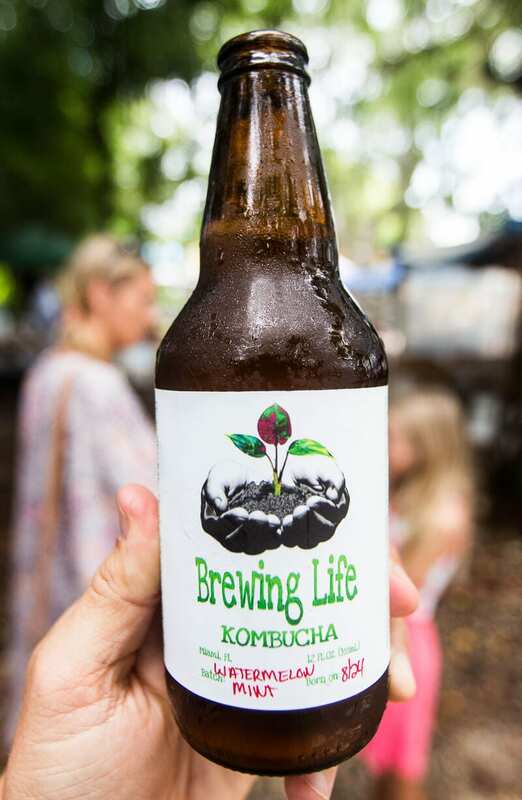 We then moved onto the local Kombucha crew, Brewing Life Kombucha, sampling the variety of flavors: dragon fruit coco, raspberry, cherry, watermelon and mint. Into our bag went a six pack. 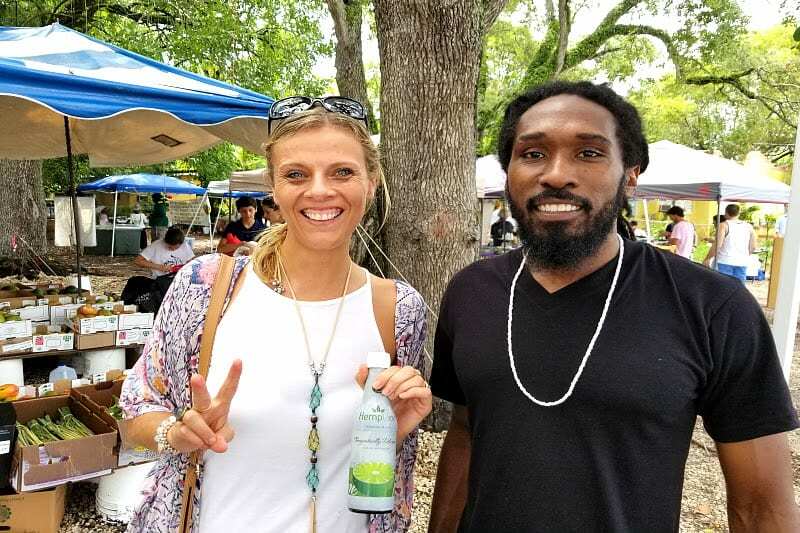 We passed by stalls of delicious smelling and looking food: Indian curries and acai bowls and many more local vendors selling their vegan and raw foods, organic produce, sweet smelling soap and handmade jewellery. 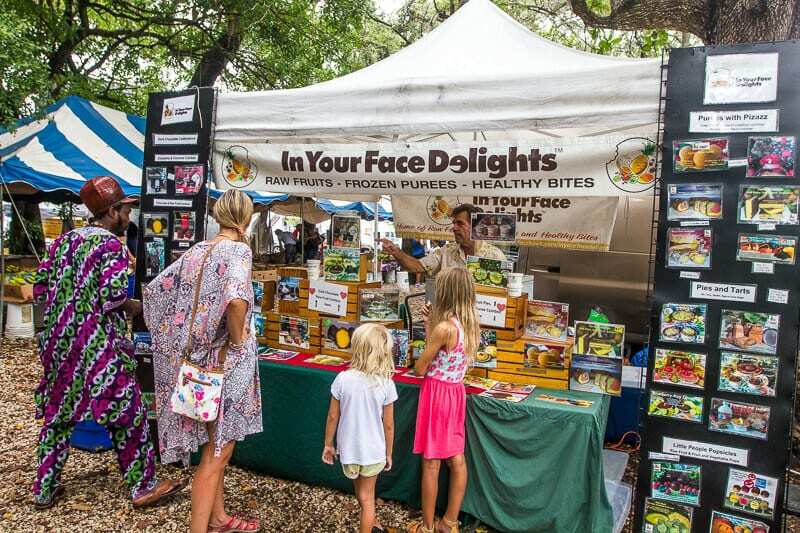 The Coconut Grove Saturday Organic Market has maintained a loyal fan base for more than 30 years. It’s about people embracing simplicity and eating their way to optimal health. On the way out we ran into Yudah from Hemplade. His own drink of eclectic herbs as he called it. He sells his drinks at the markets or in restaurants in the south Florida area. He’s definitely found a winning recipe there. 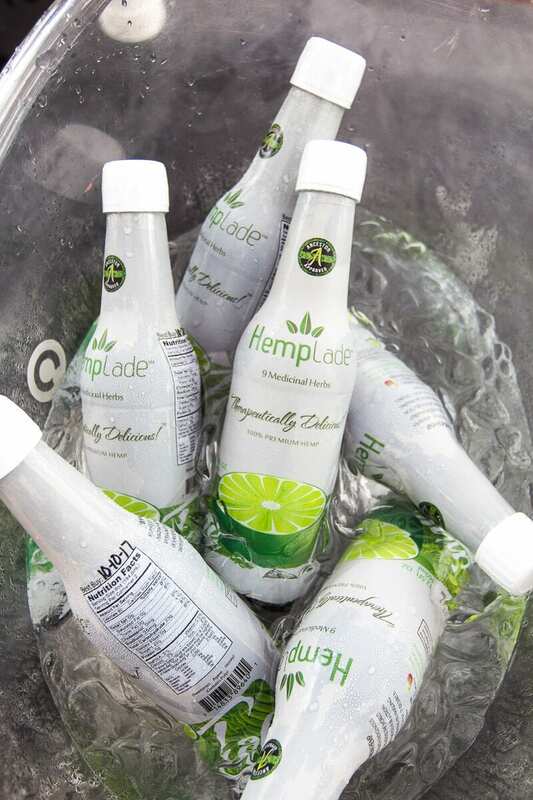 Comprised of nien medicinal herbs such as hemp stalk, burdock root, lemongrass, ginger and cayenne pepper working in unison to put you on the path to optimal health. I loved it! Don’t forget your hemplade and electric herbs. If you’ve been following us on Instagram stories you would have met some of these colorful locals as we visited the markets. 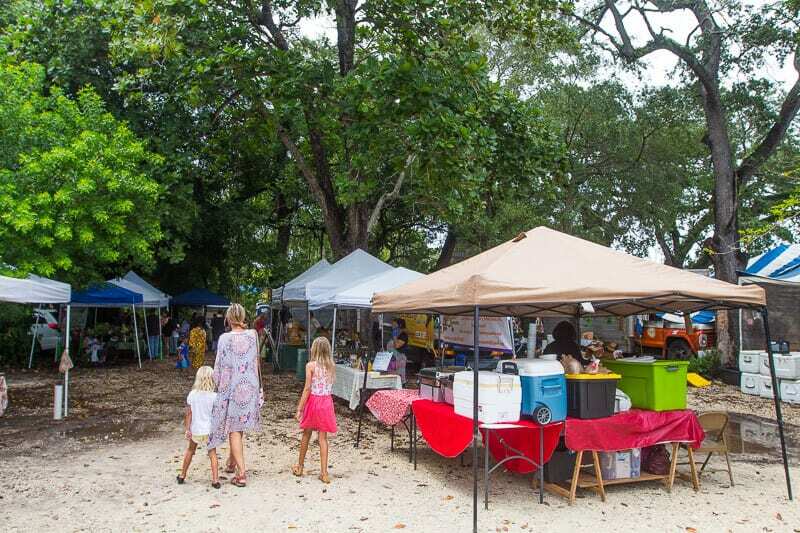 The Coconut Grove markets are open every Saturday from 10 a.m. to 7 p.m and are located on 3300 Grand Ave. 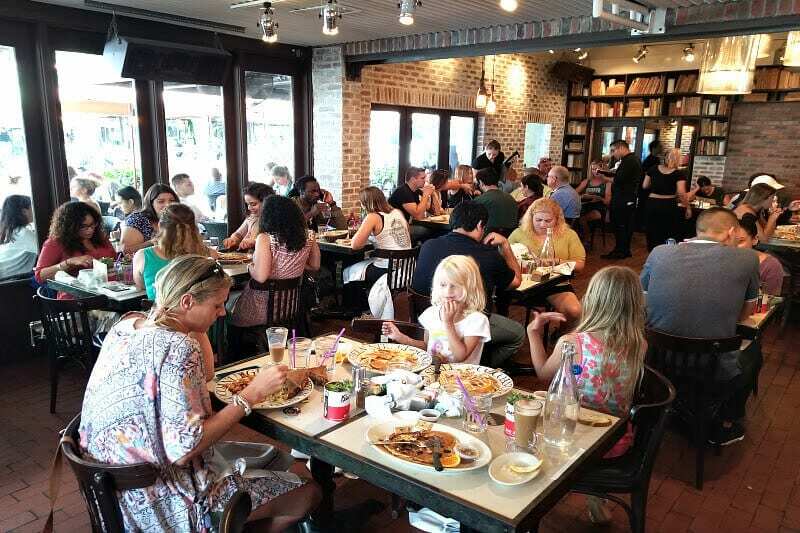 If you visit Coconut Grove on a Saturday, we recommend you make this your lunch spot. If not, you might want to check Lokal, which came recommended as a place to grab a burger and craft beer. 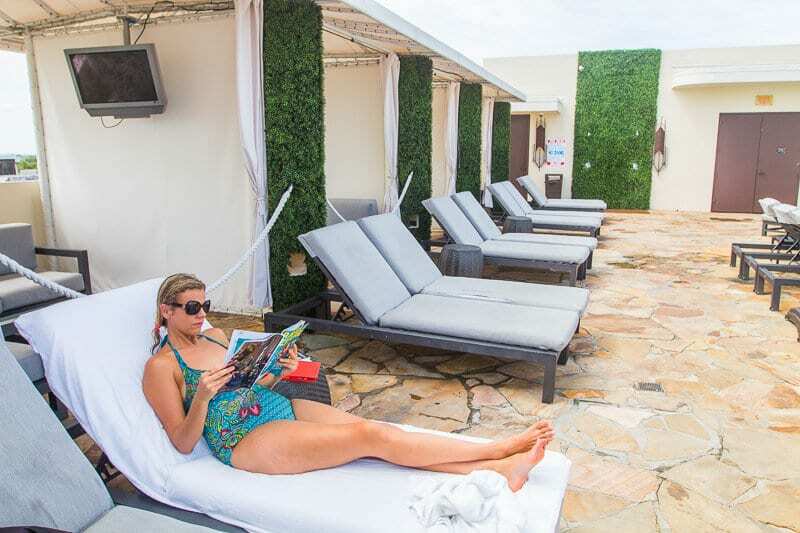 Head back to the Mayfair Hotel & Spa and relax around the rooftop pool. You’ll have views over the Biscayne Bay, you can cool off, catch up on a bit of reading or practice Dirty Dancing lifts with your kids in the pool. You can even hire a private cabana beside the pool. Miami is stinking hot so a swim will do you wonders. We were recognizing our limitations again, and noticing how the girls were losing it from heat and exhaustion we headed straight for the pool to regather our strength. Instead of your relaxing poolside afternoon you may wish to explore the Italian Renaissance-style villa of Vizcaya Museum and Gardens. It’s a popular Miami attraction. 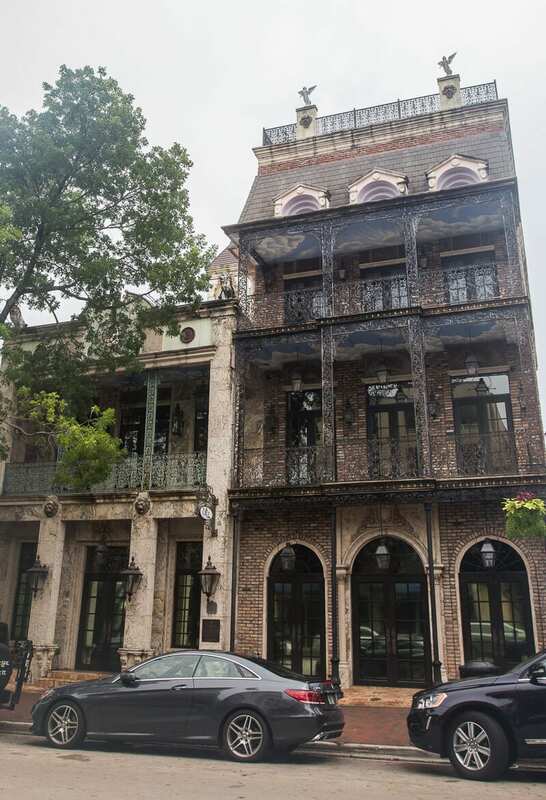 Vizcaya is a European-inspired estate and National Historic landmark. 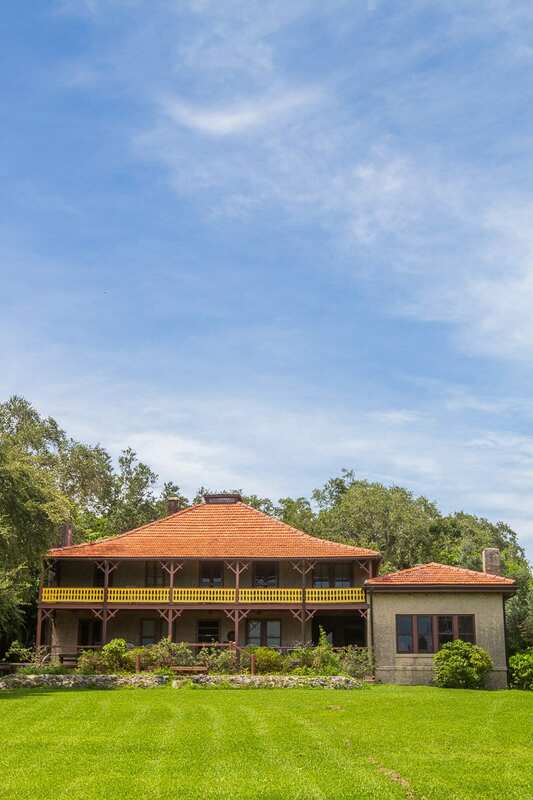 It was built in 1916 as a winter retreat for agricultural industrialist James Deering. We didn’t do it obviously, but they look and sound magnificent. There’s not too much to see, but you’ll catch a cool breeze, see plenty of boats and stretch the legs. The path will take you around to Monty’s for dinner. You’ll walk in and know you’ve hit the local’s spot. Thatched roofs and open air outdoor seating on the edge of the marina, live music playing tunes that belong in the heart of Miami, cocktails and food. Monty’s had a great local atmosphere and it was a wonderful way to wrap up our day in Coconut Grove. Both girls fell asleep at the table. We anticipated this so went for an early dinner and caught an Uber right home to bed. Make sure you order the seared tuna salad. With it’s ginger dressing, cubes of mango and red pepper it was a light and refreshing meal to end the day. For something a little more upscale, you may want to dine at the Yacht club. 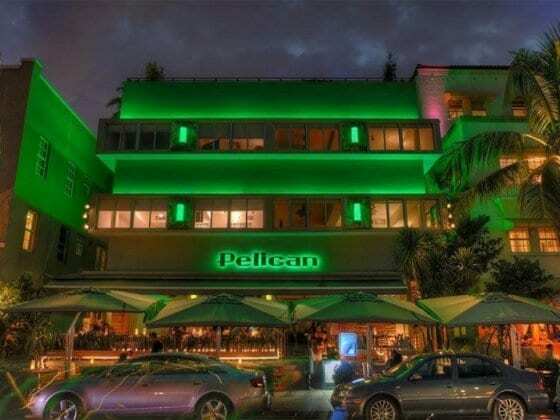 Mayfair Hotel & Spa is a historic landmark hotel in easy walking distance of most places in Coconut Grove. 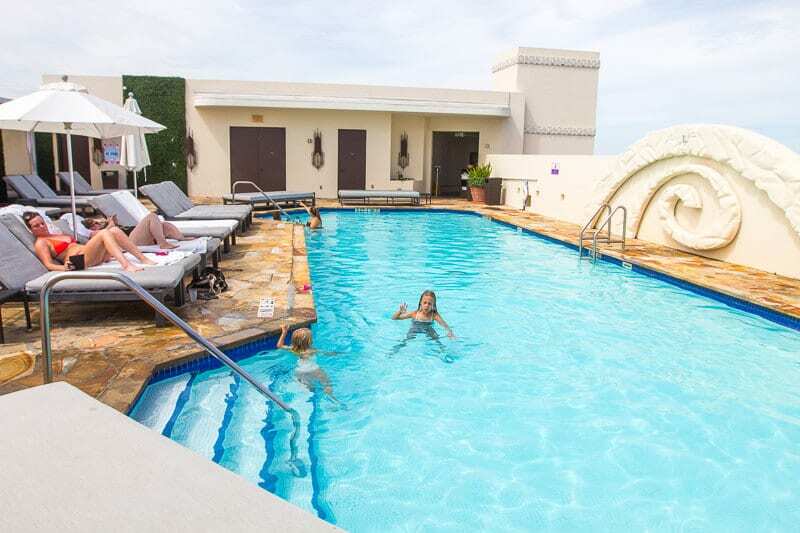 It has a tropical Zen vibe and as mentioned, the rooftop pool is a real highlight of your stay. Coconut Grove has plenty of accommodation options from the reliable and comfortable Residence Inn to the ultra lux Ritz-Carlton. 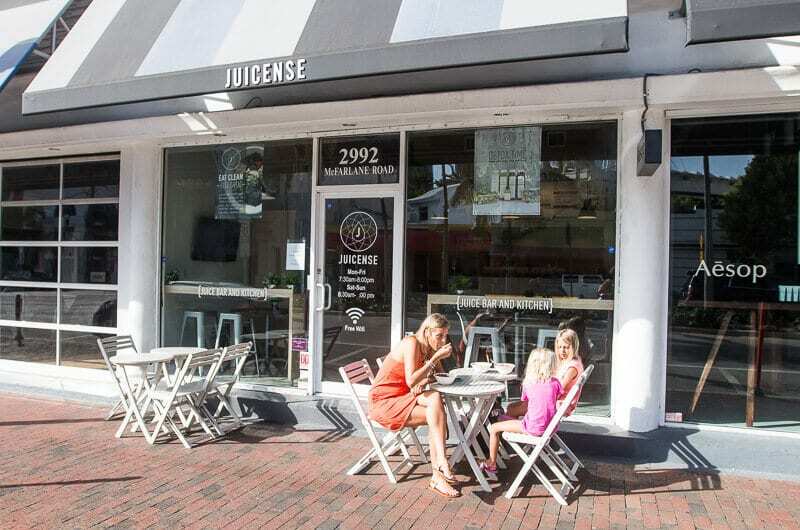 Go tropical with an acai bowl at Juicense. 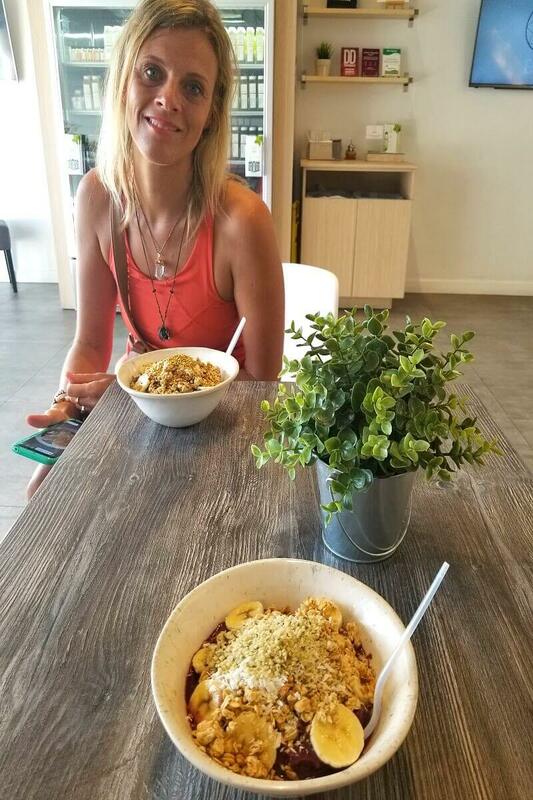 We’re big acai bowl fans and these ones get our tick of approval. I especially like how you can choose the different base and toppings you want. I went for the green power acai bowl with avocado, kale and spirulina, topped with granola, bananas and a sprinkle of bee pollen. Craig had the tropical base with acai pineapple and the same topping, while Kalyra chose the classic acai and banana base with a topping of coconut granola and cocoa nibs. Yumbo! Savannah went for her usual bagel and cream cheese from Starbucks. That girls is just so plain eating. 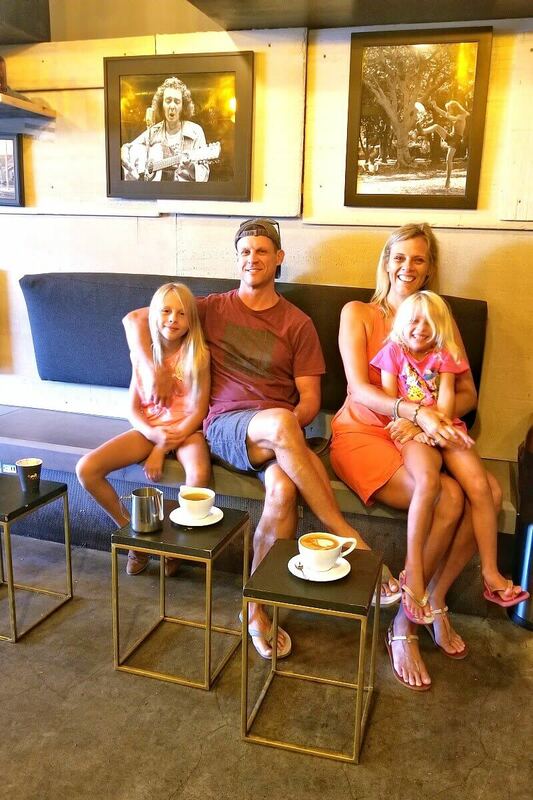 So we have real coffee in Coconut Grove, made from people who know what they are doing. Panther Coffee is a Miami-based specialty coffee roaster. The Panther Coffee also offers sodas, juices, beer and wine, and really cool tunes to listen to as you relax into smooth and sweet bitter bliss. 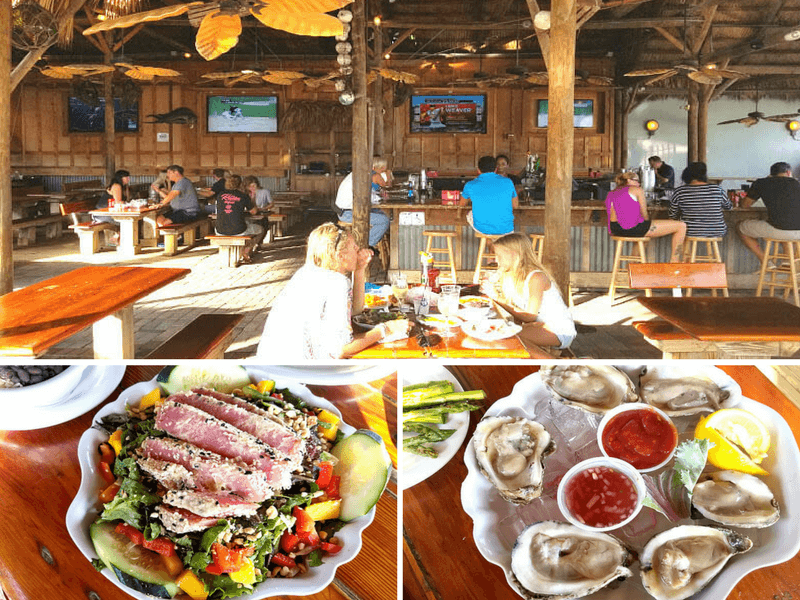 Have you visited Coconut Grove before? 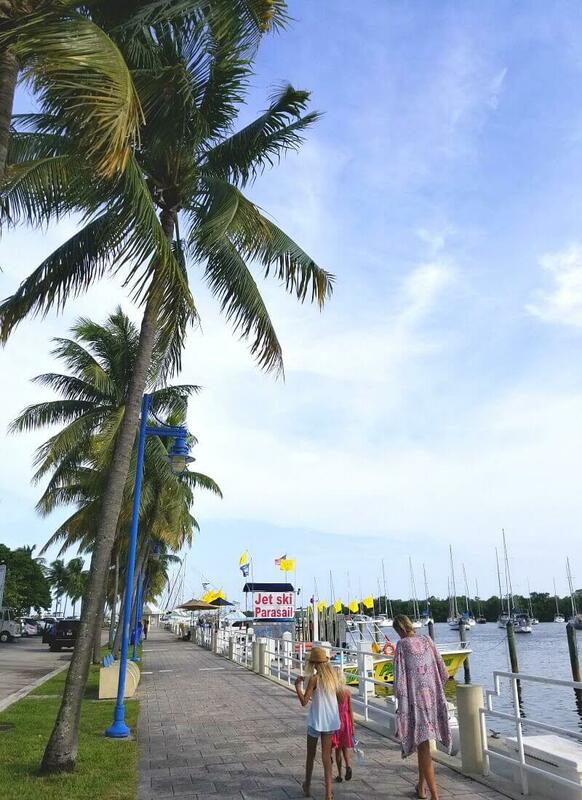 What are your favourite things to do in Coconut Grove, Miami? Love to read about your families adventures! 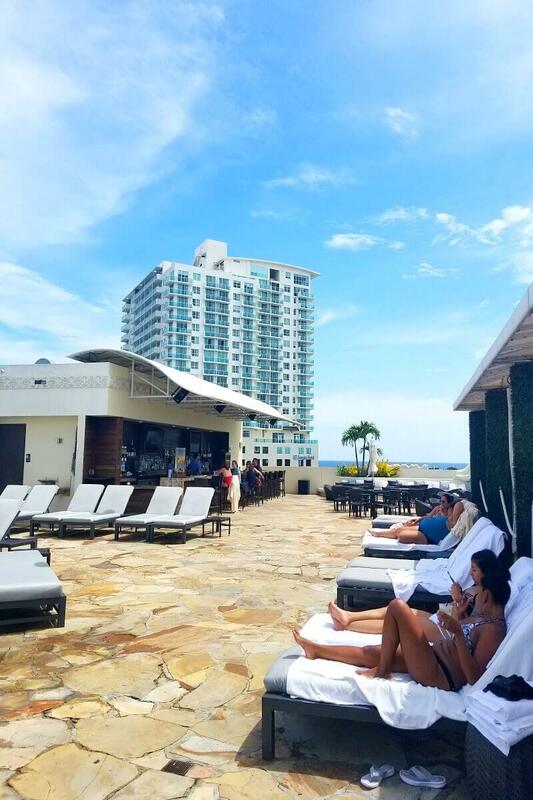 Sounds like Coconut Grove was a good choice…and OMG! !…the key lime pie! Yes. This raw one was a treat. Hope all is going well for you over there with the volcano! I live in New York. Miami is my one of the favorite places in US. I have gone so many times in Miami. It’s a wonderful place for tourist. I love this place. 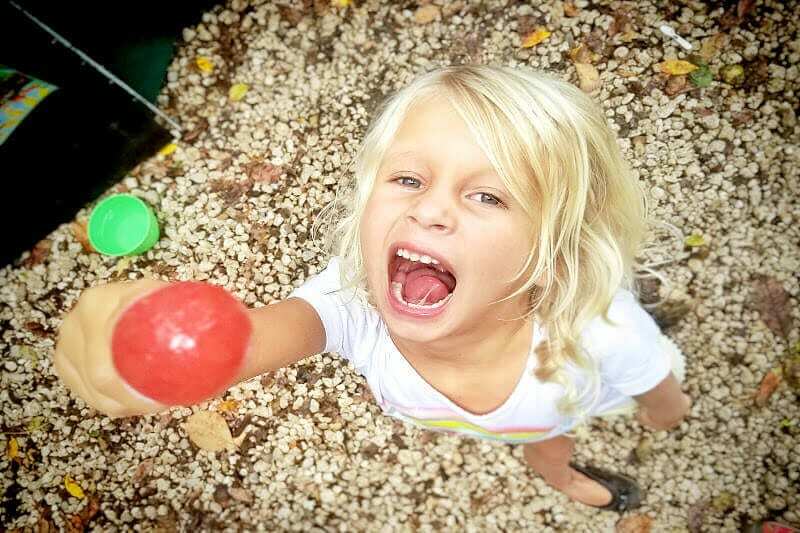 We recently moved to Coconut Grove from Chicago and LOVE our new neighborhood! Your recommendations are on point (except the hotel is the Mayfair, not Mayfield). We are planning a trip to Miami in December. We are going to do a cruise and would like to stay a week longer after the cruise. At first I was thinking of doing a road trip but are open to any other suggestions. We are not crazy about museums. Love shopping,gardening,market’s ,street cafes. We are from South Africa. We are on a tight budget as we have a very weak currency. I think there is plenty to do in the Miami area. You could explore it in depth. You’ll be close to Fort LAuderdale. You could even hire a car and go down to the Florida Keys, which are gorgeous.